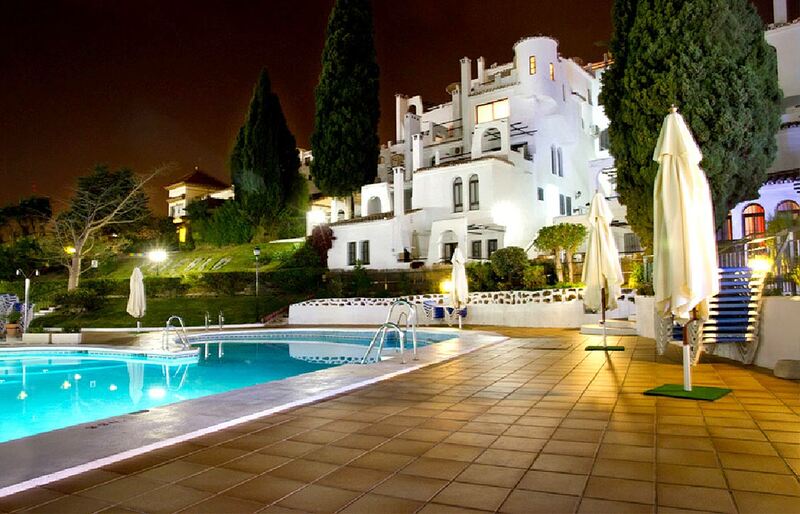 Located within Tenerife’s Amarilla Golf & Country Club, an 18-hole golf course overlooking the Atlantic Ocean, Fairways Club features gardens with an outdoor swimming pool. Pueblo Evita is situated in an enviable position, a short distance from the glorious beaches and excellent restaurants in Benalmadena Costa. The spacious one and two bedroom apartments all have a terracce with BBQ grill, patio furniture and clothes drying rack. Simply CLICK HERE to go to the enquiry form and enter your promotion code where prompted. You can then choose your dates and destination. 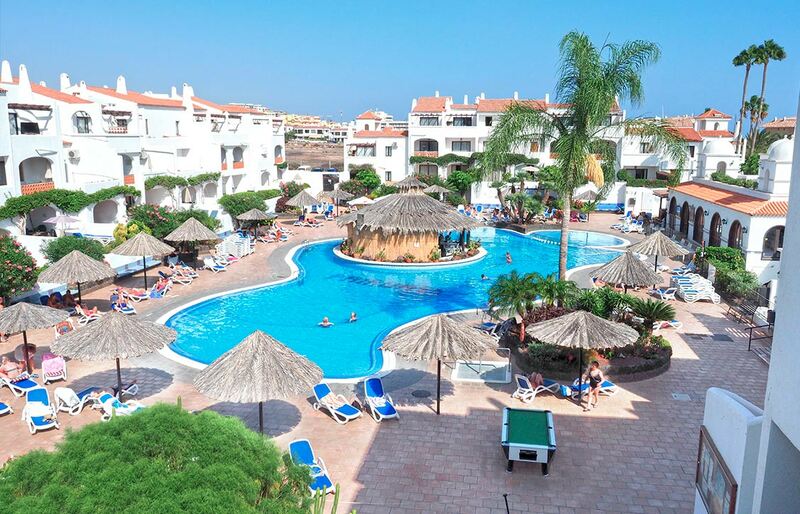 Holiday Certificate voucher entitles 2 people to stay for up to 7 days (minimum of 4 days) in a studio apartment in either Pueblo Evita on Spain’s Costa del Sol or Fairways Club, Tenerife. Check-in days are Saturday or Sunday for Costa del Sol : Tuesday or Friday for Tenerife. The owner of the Clubs wants these resorts to be fun and lively places all year round and by offering quality discounted accommodation to you, this happens. 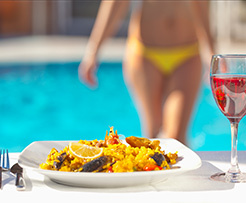 Your FreeStay voucher offers you a week for two people in off peak season and you will be given a Complimentary Membership which allows you free access to all the resort facilities, including indoor and outdoor pools, sunbeds and parasols, restaurants, bars, Clubhouse and entertainment. The resorts offer superb self contained apartments which provide anything and everything you could want on your holiday - from high quality furnishings to enjoyable living and large patio areas for chilling and enjoying some down time. Both resorts offer a huge range of activities which can be enjoyed by all visitors from pure relaxation to something a bit more adventurous depending on your interests. So book your accommodation and enjoy a week of fun and relaxation at either resort. To tailor make your holidays to suit yourself, we can arrange to upgrade you to any day check-in, larger or superior apartments, dates outside of the promotional offer and a breakfast and half-board option. Prices start from £50 for any day check-in and all upgrades are offered at attractively discounted prices for voucher holders. All upgrades are subject to availability. The FreeStay Voucher entitles you to accommodation in a studio with pull out sofa bed with self catering facilities. If you wish to take more people or simply have more room during your stay you may opt for a one, two, or three bedroom apartment by paying a discounted upgrade fee. 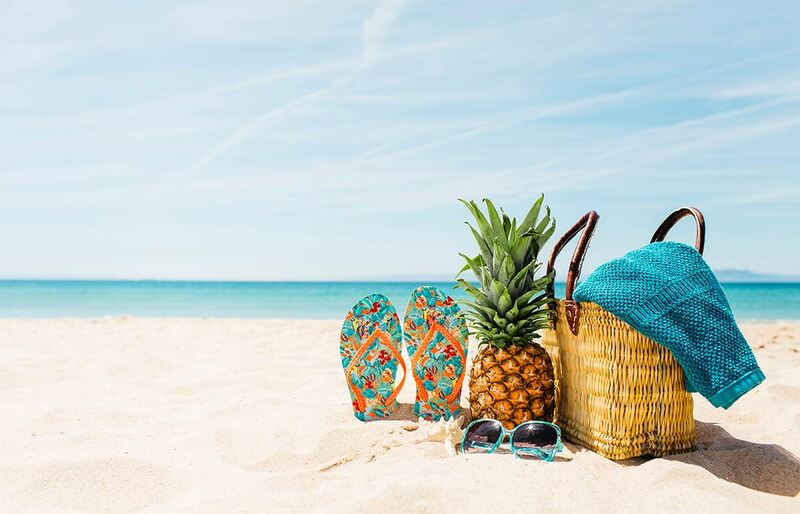 Whilst the call of the sun and the glittering Mediterranean is enough to drag you away from the chilly northern European climate for this fabulous offer we understand you may have other plans. If you need alternative dates then just request these on the booking form on the website and one of our Travel Advisors will send you the attractively discounted prices for voucher holders. You may add this option too if self-catering is not your thing, Pueblo Evita offers half board – breakfast and dinner for 7 days during your stay which, if pre booked gives a 15% discount OR you can choose the breakfast only option which if pre booked gives a 10% discount and you can choose either a full English, Continental or Spanish breakfast which can be changed on a daily basis. Fairways Club has a choice of restaurants on site which serve great breakfasts, food throughout the day and dinner and all have extensive menus so that you can choose what you fancy and when. 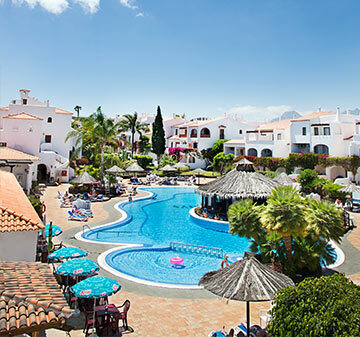 You can find out more details of this once you have sent your enquiry through by talking to one of our Travel Advisors.Once you go to the enquiry form, you will be asked to pick your dates of travel and the resort destination of Pueblo Evita, Costa del Sol or Fairways Club, Tenerife.